A shot from the Botswana series. Early morning near Kwetsani camp in the Okavango Delta, with low angled, warm light, and this majestic fellow was out patrolling his territory. It’s tempting to use a fast lens at its widest aperture but stopped down a little gave enough depth of field to get all the lions face in focus. With the 500mm telephoto lens at F6.3 the face is sharp from nose to ears but the background still nicely blurred. 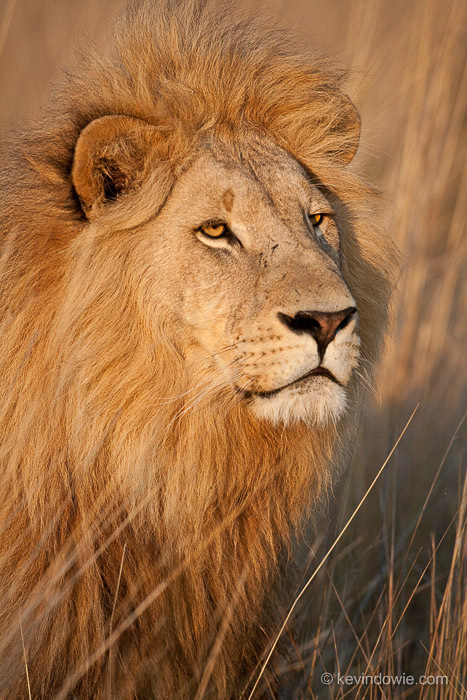 Lion Portrait, Okavango Delta, Botswana.